Keeps kids’ minds sharp while sparking creativity! Color-by-number, connect the dots, doodling…and more! 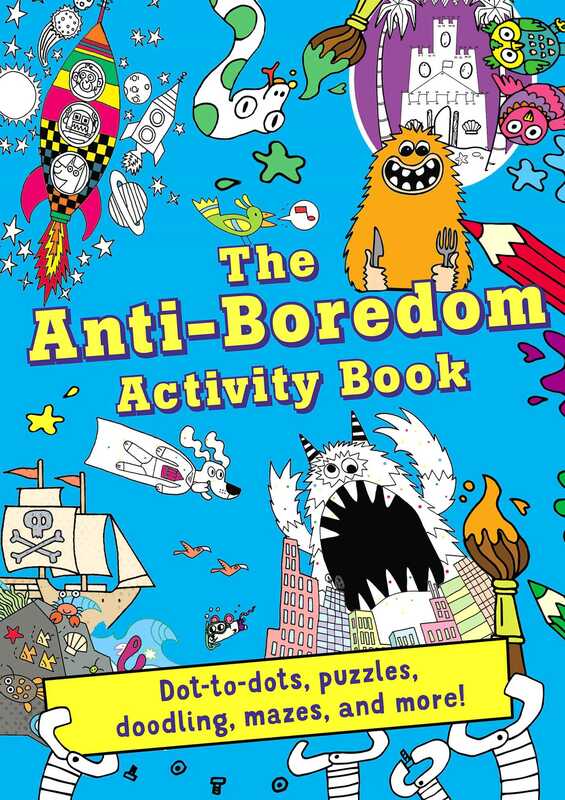 The Anti-Boredom Activity Book is full of a variety of activities that are sure to entertain kids hours on end. This activity book is jam-packed with colored pages, just waiting for children to add more color to the activities. From activities with dinosaur to animals to cities around the world, this book has activities for everyone. Perfect for rainy days, vacations, car rides, and more, The Anti-Boredom Activity Book is a fun way to keep kids entertained.